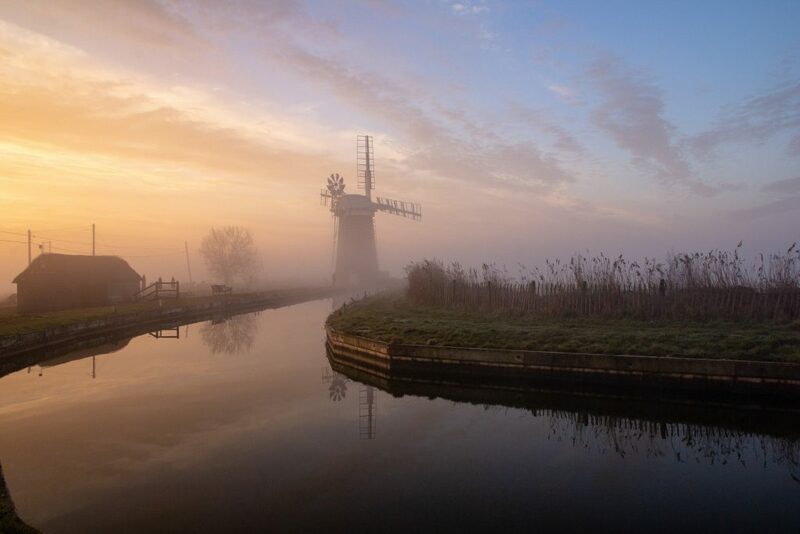 Operated by the National Trust Horsey Windpump is a landmark Grade II* listed building with a fascinating past. It stood still and silent for 75 years after being struck by lightning in 1943. 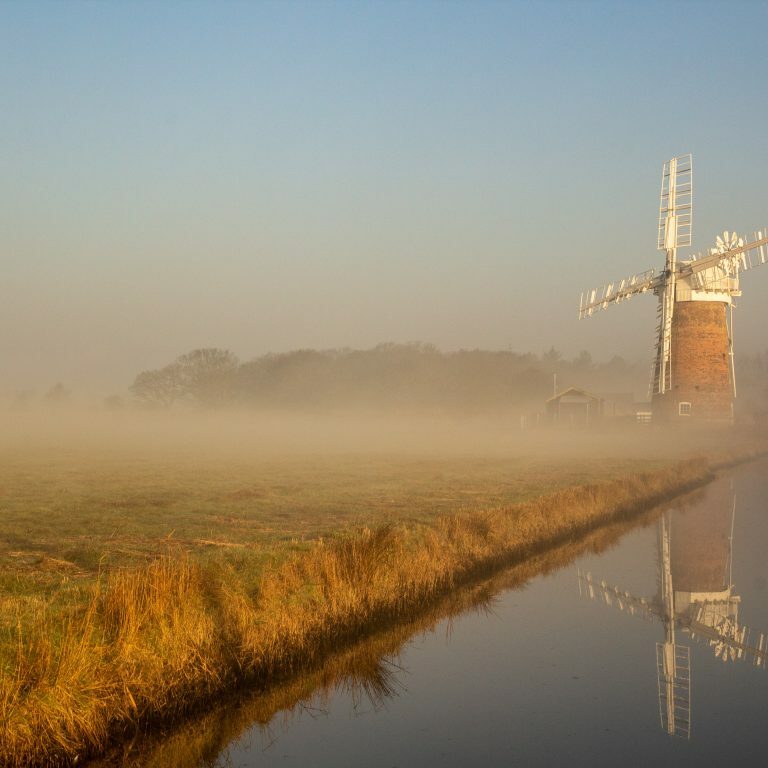 However, in 2015 the windpump closed for extensive repairs and restoration and has now been brought back to life. Working closely with millwright Tim Whiting; the philosophy behind the repair and conservation was to enable every repair undertaken to focus on the National Trust’s long-term ambition of having a fully functioning drainage windmill or ‘windpump’, with every activity being a stepping stone to completion. The expectation has been that every part, working or static, should be retained where still fit for its purpose and that no parts should be rejected purely on the basis of age or appearance. In effect, the project has been to take as near an approach to “conservative repair” as a working machine will allow. The cap and sails can now react to the wind and preserve themselves against storms. The National Trust has put in place volunteer and professional labour and systems to ensure that the building is cared for and kept working in the future. The project enables the Trust to demonstrate to the public the value these buildings had in forging the Norfolk landscape. The windpump has become once more alive and a dynamic part of the landscape, the fabric original to the 1912 construction (and parts incorporated then from earlier mills on the site or other local mills) have largely been retained and the public can visit and understand how such a machine works and responds to wind. Windpumps in working order are a rarity, even in East Anglia, and the repair and reinstatement of this pump represents a major achievement. It demonstrates exceptional millwright skills and painstaking labour. The National Trust has saved a building, brought it to life and enabled it to stand proud once more in the Norfolk landscape.